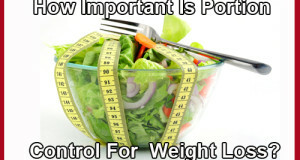 A lot of time, thought, and effort is put into losing weight, changing dietary habits and re-shaping body composition. Are you one of the thousands trying to eat less, control appetite, reduce cravings and lose body fat? Most people try very hard and the whole effort to lose weight just gets too hard. The good news is that you don’t need to change your work ethic or will-power, in most cases you just need to work on your water and nutrient intake, with emphasis on both the quantity and quality of the water you drink. So, how much water SHOULD you drink a day to lose weight? Studies and opinions on this vary but one of the most popularized concepts over the past 10 years (in terms of water consumption quantity) has been to drink eight, 8 oz. glasses of water every day. 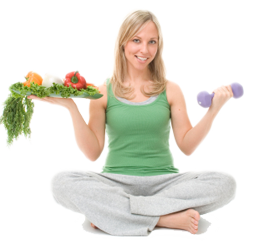 This guideline is based upon people of average weight and therefore you should adjust your intake according to your own weight. For example, if you are a 225 lb. person, your recommended daily consumption would be more like ten, 8 oz. glasses of water per day while if you only weight 95 lbs., then six, 8 oz. glasses of water should be sufficient. Taking in a satisfactory quantity of water every day is important because water helps your body perform a large number of tasks, including its ability to metabolize food and carry waste nutrients out of your body – important factors in losing or maintaining your weight. However, when trying to lose weight, perhaps even more important than the quantity of water you drink is the quality of the water! Simply put, drink waters (and eat foods) that are high in natural nutrients and you’ll lose weight naturally. Our primary reason for eating and drinking is to acquire nutrients. Your body craves the nutrition it needs to keep our bodily processes running 24 hours a day for the length of your lifetime. So, if the water you drink and food you eat are basically lacking in nutrition, your body will continue to seek it through continued hunger, cravings, and more eating. It’s not your fault, most bottled waters and tap waters have been through a filtration or reverse osmosis process and are lacking natural minerals and nutrients, while our foodstuffs are continually losing their nutritive value due in part to poor farming and environmental practices, not to mention processing and preservatives. So, your body ends up not getting the nutrients it wants and needs. You end up deficient in life’s necessary materials. You can easily correct this dietary deficiency by choosing to drink and eat right – for your body and life longevity. Choose fresh, organic fruits and vegetables and choose drinking water that is a natural well water with dietary elements and dietary compounds like calcium, magnesium, potassium and even alkaline substances like sodium bicarbonate. Organic fruits and vegetables are now in much bigger supply and easier to find. Unfortunately, finding a natural, healthy mineral water here in the United States is not easy to do. 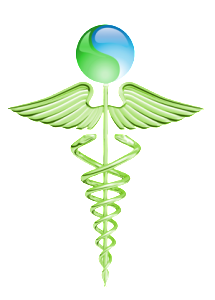 We are fortunate in Texas to have one of the best natural water alternatives nearby in Mineral Wells, Texas. This water, with its naturally occurring blend of so many vital dietary elements and compounds, not only hydrates your body with clean, natural water, but also fulfills your body’s needs for essential nutrition. With a surplus of natural nutrients through healthy eating and drinking, you body will crave less food and you’ll end up with what you want, a leaner and healthier you with much less effort! 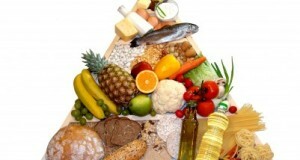 So count your nutrients and not calories and look and feel your best… and live longer!